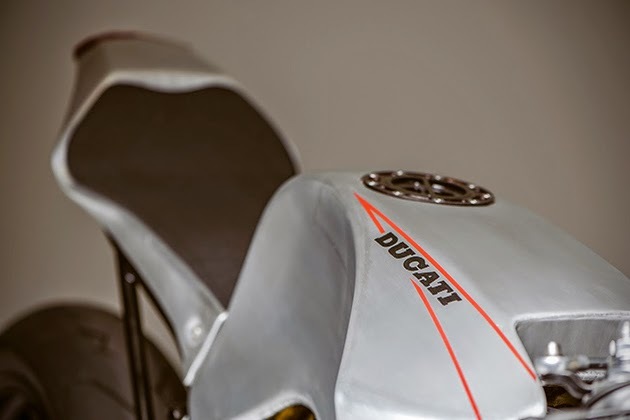 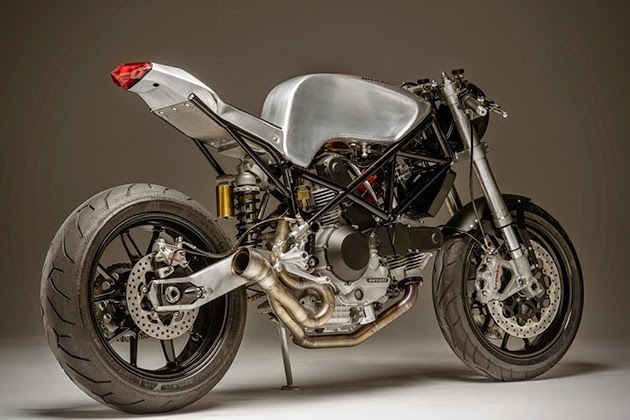 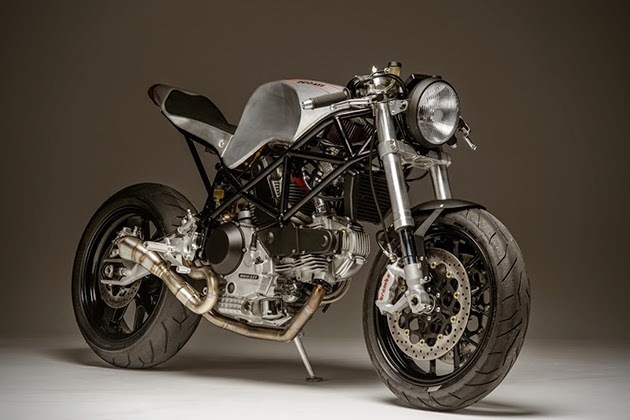 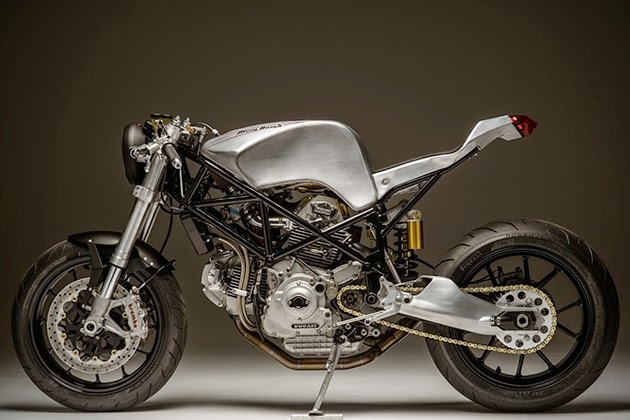 [ #inspiration #Motobike #Ducati ]Renowned builder Clay Rathburn of Atom Bomb Custom Motorcycles has brought his expertise to a 1996 Ducati 900SS. 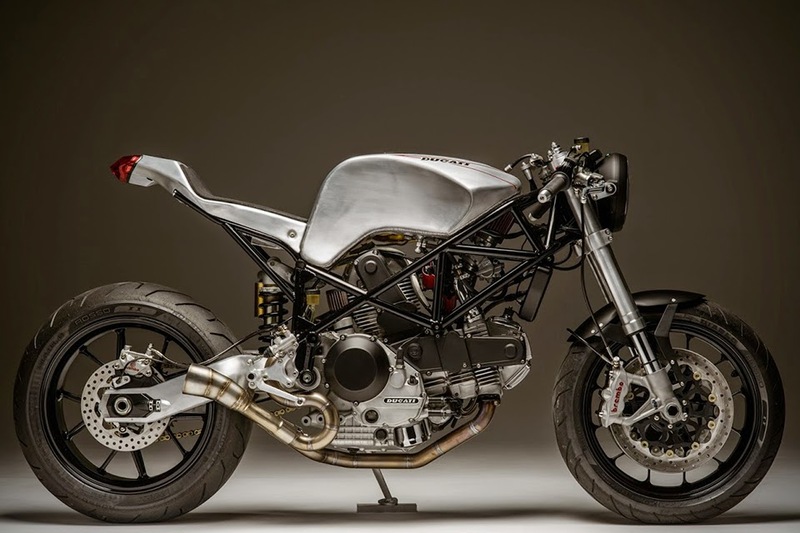 This bike features a 999 frame built from scratch, newly fabricated aluminum bodywork, and much more. 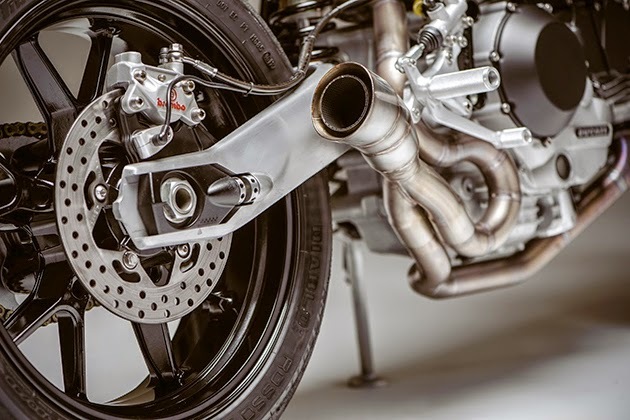 There’s Showa forks from a late-model Suzuki GSX-R, Brembo monobloc radial brake calipers (also from a GSX-R) matched to floating Brembo rotors, a set of Keihin FCR carbs, a new tank that holds 4.5 gallons of gas, a powder coated Ducati performance fender, and an Aprilia RSV front wheel, with a Ducati 999 rear wheel, swingarm and shock out back.